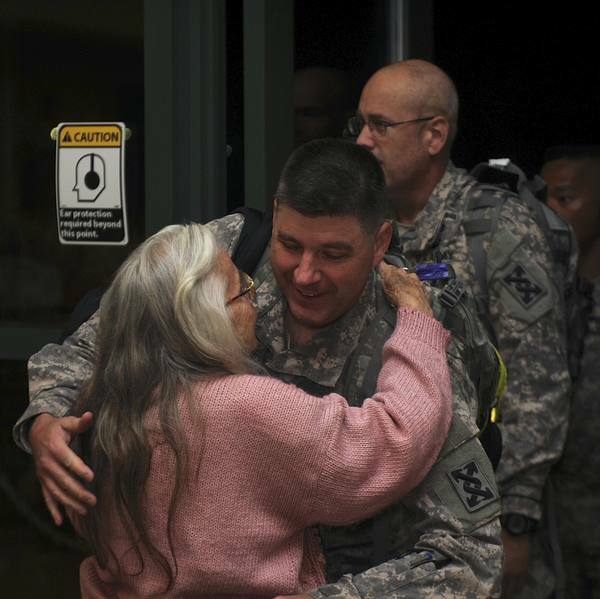 Elizabeth Laird, also known as the hug lady, has been sending off military members from Fort Hood, Texas, for over 10 years and is a local celebrating, especially among the troops that consider her their adopted grandmother. Laird has been a devout supporter of the troops since they were first deployed for the Iraq War in 2003. 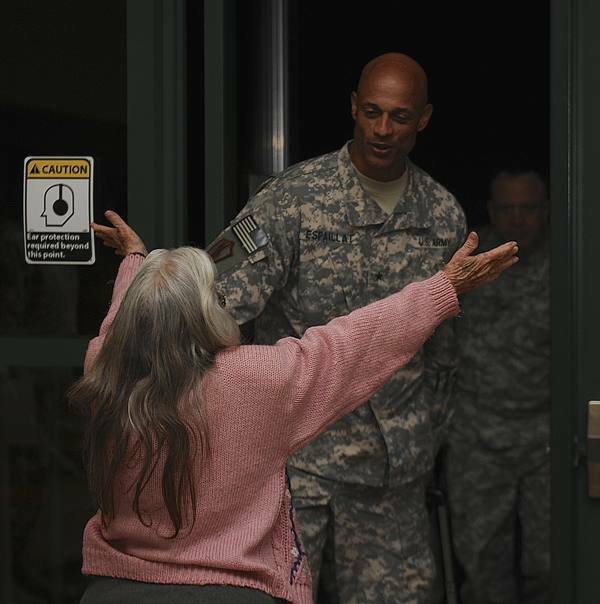 Since then, she has maintained her post in Fort Hood airport greeting the troops as they arrived home with a huge hug. It has been estimated that she has given half a million hugs in the past 12 years. It all starts when a deploying solider hugged her first, and this is where the tradition was born. The hug lady experienced great loss in 2008 her husband and daughter died suddenly. But she made sure that she was waiting at the airport to greet her troops. Many of the men and women don’t have family, so it’s a great comfort for them to know that the Hug lady will definitely be there waiting for them. Now the soldiers want to hug Laird back and help her with her fight against breast cancer which has progressive become more aggressive. Diagnosed in 2005 Laird has only just been admitted to hospital. She was unable to make The Veterans Day parade in Killeen, but it seemed that everyone in the crowd seemed to know her and had their own special memory of her. Many troops have visited the hug lady in hospital bringing her gifts, nice words and of course, plenty of hugs. Laird has refused chemotherapy and radiation treatments opting to battle her illness with prayer and purpose. The troops have helped raise over $80,000 for her long term care through a GoFundMe account set up by her son. IMG: 143d ESC, 143d ESC / Flickr cc.